Thinking about your funeral, let alone pre-planning it, is a difficult thing to do. Congratulations for making it this far. You’ve made a good decision to look into prepaid funeral plans. They are one of the most convenient and financially sensible ways for you to plan your funeral. Pre-paying or pre-planning a funeral means that everything is taken care of in advance, and that your family won’t be financially burdened or unnecessarily stressed by having to make difficult decisions about the funeral when the time finally comes. We have put this comprehensive guide together to give you all of the information you need to purchase a prepaid funeral plan. While putting plans in place for your funeral, it may also be a good time to think about your will. For information about online wills, see Make an Online Will – Get Started. 1. What is a Prepaid Funeral? Many of these items and costs are optional and don’t have to be included. For a full explanation of funeral costs, see our Guide to Understanding Funeral Costs. You might have also heard the term, “pre-arranged funeral”. While it’s similar to a prepaid funeral, it’s different in the key respect that payment of the funeral is only made when the service is held. A pre-arranged funeral is helpful in the sense that your family will know exactly what service you want, but it doesn’t offer the same financial protection as a prepaid funeral plan as you are still exposed to prices rising over time. Prepaid funeral plans have many benefits, with only a couple of disadvantages that are easily managed. 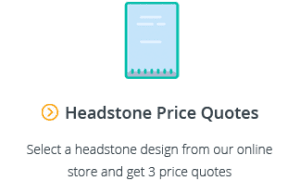 Pay today’s prices – one of the biggest advantages of a prepaid funeral is that the cost is locked in at today’s prices, with no more to pay regardless of future price increases. As we’ve discussed in other articles, the average cost of a cremation and the average cost of a burial have increased steadily over the past decade, and will no doubt continue to rise well into the future. Protect your family financially – as a prepaid funeral plan is fully paid, you can rest assured that your family won’t be financially burdened by the cost of the funeral. Protect your family emotionally – at the time of death, so many families realise they never discussed the type of funeral that their loved one wanted. Having to guess and make important decisions without knowing their preferences can be incredibly difficult, and can often result in them paying more for additional items and services that aren’t needed or wanted. Pay in instalments – if you can’t pay the lump sum all at once, most funeral directors will allow you to pay the amount in instalments over the course of 1-3 years. Flexibility to plan your funeral – just because you are pre-planning your funeral doesn’t mean that you can’t customise and personalise it in exactly the same way as you’d be able to at-need. Pension & other entitlements – amounts paid for a prepaid funeral plan are exempt from the assets test, so they can help you obtain a full or part pension if you might otherwise exceed the assets threshold. More cost effective than funeral insurance – assuming you live for another 3 or more years, a prepaid funeral plan is more cost effective than funeral insurance. May be invalid if you move states – If you move to another state, some prepaid funerals may not cover a funeral in your new state. While this is a risk, most people know at this stage of life whether they might move to another state. If you are still concerned, you can always look for a funeral director who is able to transfer the benefit of the plan to funeral directors in other states. Change of mind – under most funeral plans you aren’t able to change significant details or get your money back. With enough thought, most of us can decide the type of funeral we want, although it is worthwhile checking the exact terms for change of mind and the cooling off period. You need to think about your funeral today – perhaps the biggest challenge with prepaid funerals is that you need to think about your funeral and plan the details today. For some, it’s a difficult subject to think about. If you would like to plan for your funeral without having to think about all of the details, you can consider a funeral bond (see below). As stated above, prepaid funeral plans are purchased at today’s prices, so the costs should be the same (or close to the same) as if you were arranging an at-need funeral. If you are seeking to arrange a cheap prepaid funeral, see our article on Cheap Funerals in Australia for the best options. To purchase a prepaid funeral plan, you need to find a funeral director. Just about all funeral directors offer prepaid funerals, so don’t feel limited in who you can choose. Finding a funeral director can be difficult. 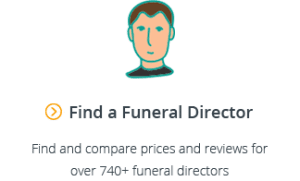 There’s a significant variance in the prices charged by different funeral directors as well as the quality of service offered, so it’s important to do your research. Take your time to compare the prepaid funerals available from funeral directors in your area. 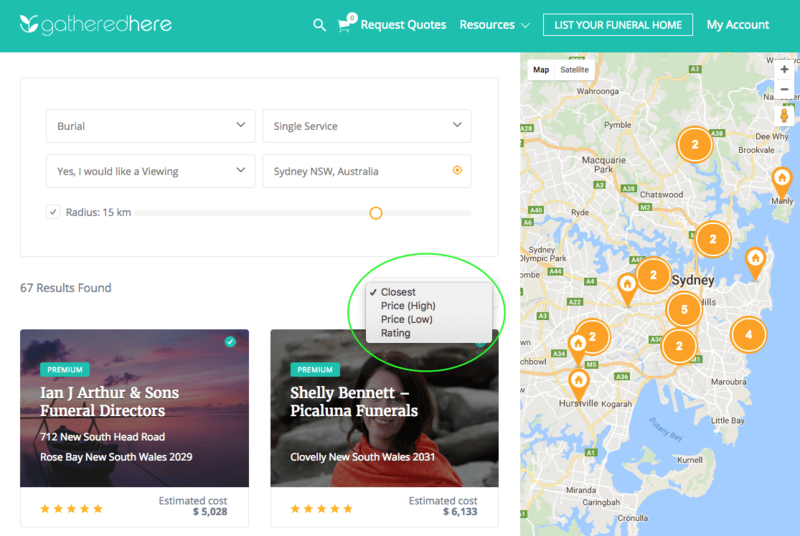 Tip: Filter the results by using the “Price (Low)” filter to find the cheapest prepaid funeral plans, and the “Rating” filter to find the best prepaid funeral plans. Generally speaking, Australian consumers are well protected under Australian laws when it comes to prepaid funerals. In addition to Commonwealth laws, most states (except for WA, ACT and NT) have further laws to protect consumers. For more information about the consumer protections in your state, see the government websites below. Note that all prepaid funeral contracts can be negotiated, even if they are described as “standard”. Just be sure to make sure all variations are signed and in writing. Once you have completed your signed prepaid funeral contract, make sure you get an original copy and keep it safe (preferably with the original copy of your will). Assuming you have read and understood the contract, and have worked through the key points in the checklist above, your rights should be well protected. There have been some reported cases of families being surprised with additional costs after the funeral, but they are few and far between. One such case occurred in Tasmania where, after many years, the cemetery needed to increase it’s maintenance fees in order to continue operating the cemetery. These fees were passed on to the funeral director who then passed it on to the family. The issue here was that the prepaid funeral contract specified that any imposition of fees levied after the contract was signed would be payable by the estate. So be sure to double check the circumstances under which you may be required to pay additional fees. If you are researching the different ways you can plan financially for your funeral, alternatives to a prepaid funeral include funeral insurance and funeral bonds. Funeral insurance is a financial product under which you agree to pay a premium (usually fortnightly or monthly) in exchange for an agreed cover amount paid out at the time of death. While the premiums can be relatively cheap initially, they can rise over time, and if you live for many more years (as you would hope to!) you can end up paying many thousands more in premiums than the amount that is paid out upon death. The fact that it can be difficult to keep up with premiums as you age is demonstrated by an ASIC investigation which revealed that 80% of all insurance policies taken out by individuals are cancelled. When a funeral insurance policy is cancelled, the individual loses all money paid towards the insurance policy. While it’s true that the features of some funeral insurance products have become more favourable to consumers over the past few years, consumers still need to exercise caution when purchasing funeral insurance. For more information, see our complete Guide to Funeral Insurance in Australia. Funeral bonds are another investment product that can help you plan financially for a funeral. Like funeral insurance, you contribute a regular payment to a financial institution, however, if you miss a payment, you do not lose all the money you have contributed. The amounts you pay will continue to be invested up until the time of death when it is paid out. Depending on the amount you contribute and the investment performance of your funeral bond, the final payout may not be enough to cover all of your funeral expenses. This stands in contrast to a prepaid funeral which is guaranteed to cover the full amount of the planned funeral. For more information, see our complete Guide to Funeral Bonds in Australia. Am I eligible to purchase a prepaid funeral plan? Yes. Unlike other funeral planning products, anyone is able to purchase a prepaid funeral plan, regardless of their age or health. Who holds onto the money I pay? When you pay the funeral director, they are required to deposit this money with an authorised and independent institution (such as a friendly society or investment manager). While timing requirements vary between states, a funeral director is generally required to arrange this payment within 7 days of receiving the money. When the holding entity receives the funds, they are required to notify you in writing, and should detail the exact amount of the funds received. If you do not receive such a confirmation you should follow up with your funeral director. While it rarely happens, this is a common and sensible question to ask. Because the money is not held by the funeral director (but by an independent institution), your money is protected and will not be lost. If the funeral director goes out of business you will be able to transfer your prepaid funeral plan to another funeral director. I can’t afford the whole thing in one lump sum. Can I pay in instalments? Yes, most funeral directors offer payment of prepaid funerals in instalments via direct debit, usually over the course of 1-3 years. If death occurs while outside of your funeral director’s serviced area, they should be able to arrange for the body to be transported back home. However, this will incur additional transportation fees. Depending on your prepaid funeral contract, if you choose to have the funeral interstate or overseas instead of returning the body home, the funds in the prepaid funeral plan may be paid directly to the estate. Can I change my mind or get a refund? Most prepaid funeral contracts include a cooling off period of approximately 14 days after the date of the contract. During this time, you can apply for a full refund of the money paid if you change your mind or are otherwise unsatisfied. 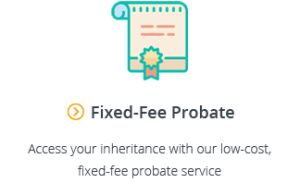 After this time, you are generally not able to withdraw the money paid and it can only be used in accordance with the plan set out in the prepaid funeral contract. A prepaid funeral is one of the best ways to plan for your funeral. It’s a financially secure decision that can provide you with peace of mind knowing that your family won’t be burdened or unnecessarily stressed with planning decisions when the time finally comes. The most difficult part is starting. 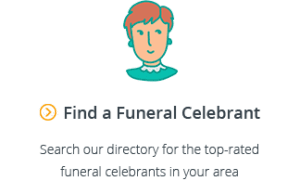 Now that you know everything about prepaid funeral plans, why not continue and find a funeral director who can help you by clicking the green “Start Your Search” button below? If you have any questions or we can help in any way, feel free to email us at support@gatheredhere.com.au or leave a comment for us below.